Indeed, plenty of fruits were on the trees and bushes and there were no flies or little buggers called nots (in Scandinavian) – a type of sandfly-like blood sucking insect that can drive you mad, nor mosquitos. Perhaps, this was because this early summer in the history of Sweden was the hottest since hundreds of years. It had barely rained the last two months before July arrived. 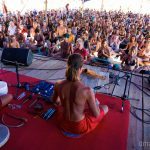 Yoga teacher teaching at the Yoga Mela 2018Miraculous things happened from the moment I arrived. 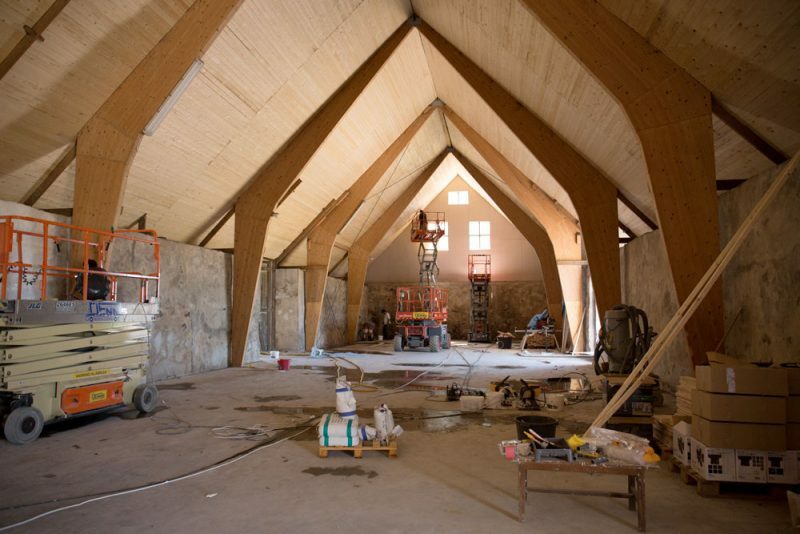 I came on the day before the festival began and people enrolled into the volunteer program had constructed, and were still constructing and transforming, a few (formerly) barns into sacred buildings that reminded most people of chapels or churches – buildings where sacred transformations could and would happen. 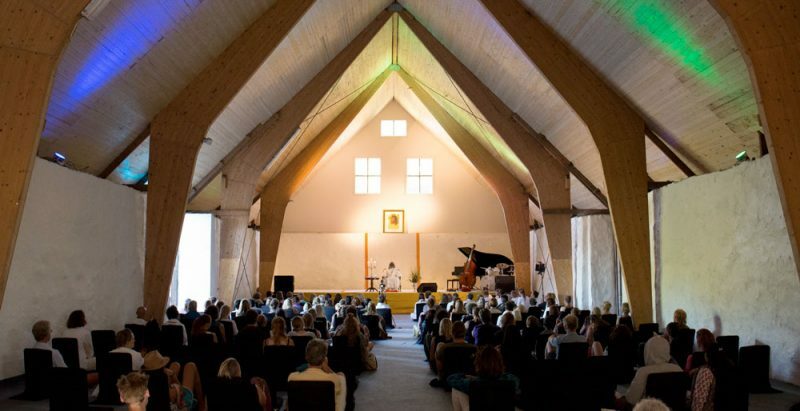 During the seven days I spend in the festival I witnessed people who kept on opening their hearts to the playful and joyful energy of coming together for the sole purpose of practicing Yoga, connecting with each other (for real) and experiencing sacred music, as well as the teachings of an enlightened master. 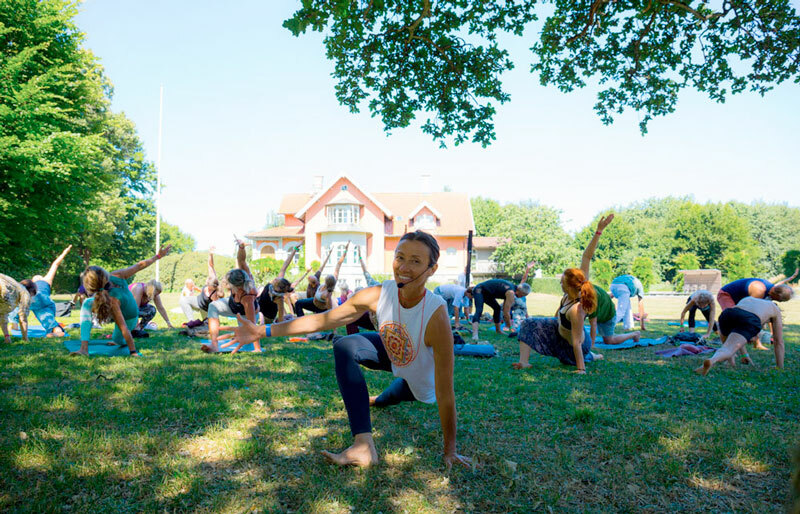 The Yoga Mela is part of a larger vision of Guruji Sri Vast and the group of people that support this peaceful vision of personal and collective, spiritual, non-religious, non-dogmatic and non-sectarian transformation. 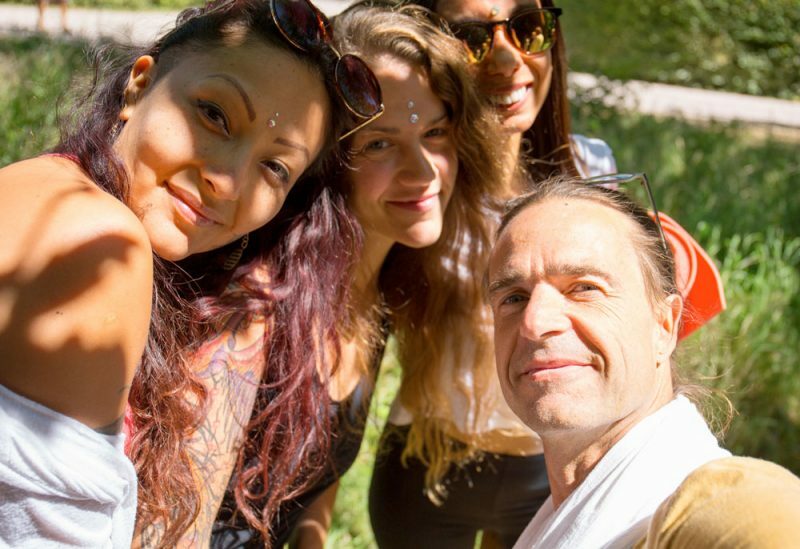 The manifestation of Divinya as a place ready for participants to collaborate in the co-creation of this mico-cosm opens doors for individuals and groups to re-learn and truly be themselves, to heal and evolve with each other. The children – our future – were such a charm to watch, photograph, film, and play with. Observing how they respond to an environment of a clean paradise, where alcohol, smoking and drugs are not welcome, was like out of this world! They went on stage one night and danced so wild and free! Of course they felt safe and the entire audience also was in a wild wave of motion to sound. Tears came through my heart, out of my eyes, not only once. 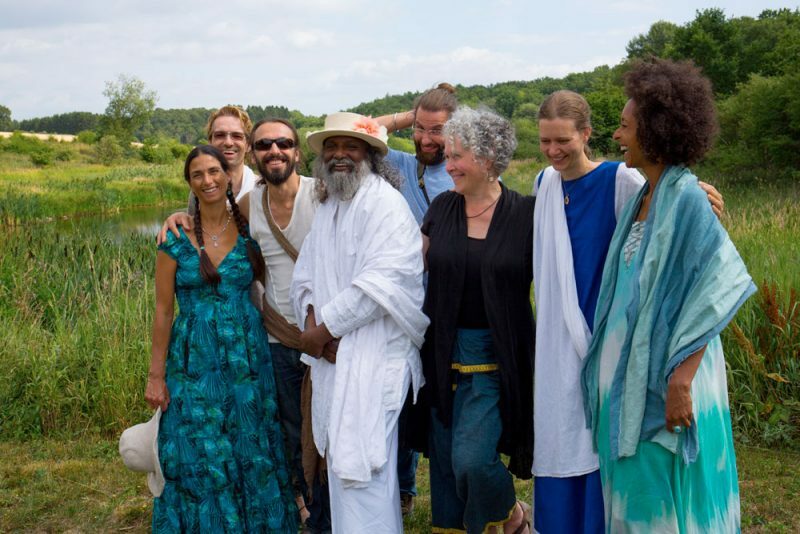 Being blessed by the grace of a true master and the community that is evolving with his guidance so elegantly, with so much power of love, is inspiring to witness! On the last day I walked through the crowd in a concert when everyone had their eyes closed. People were in a space of oneness and peace. So healing this was for me to see when we find our way “home” together as one, without the need for anything. Just being (conscious) is enough! I was “the drone pilot” throughout the event and got myself into those shoes by proposing to fly the drone, even though I had never done that before. But it’s not the first time I challenge myself and I did well, I think. Although, it was daring what I did with this scary flying machine and 4K camera. I got great shots though, from the air, of people dancing, enjoying, riding horses, swimming in the near by lake that is part of the 300 acres of paradise, where old trees thrive in ancient forests. I saw agricultural fields from the air that grow crops which will feed the people in this sustainable vision of the world! 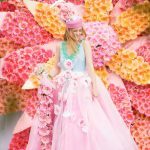 Yes, we can live in harmony and manifest our dreams by not just dreaming about change, but make it happen together through our collective effort when we are guided by sacred intentions that do not make exploitation and profit a priority! Divinya is already a reality that took decades in the manifestation. What could we do as a species if we were to follow the example of Divinya? Truly, I feel blessed to have found Guruji and the lovely people that have accepted me for who I am. For that they had to accept themselves for who they are! I feel that I am “being seen” by all those who have opened their eyes to the simple facts of life – the beauty – that we are all connected. That we are all ONE cosmic being.